Formed in the late 60s by a set of top-flight musicians from across Ghana, Nigeria and the Caribbean, this London-based outfit melded African music, jazz, rock, R&B, latin and pop to great effect. Not least on their very first eponymous outing, illustrated by Dean via elephant-insect hybrids set in a vivid tundra. Apparently, the band name translates as ‘criss-cross rhythms that explode with happiness’, in rash contrast to Dean’s slightly menacing sleeve. The elephant theme would make a resurgence for their 2015 Ultimate Collection, this time with warlike poses and tank turrets and guns as heads. 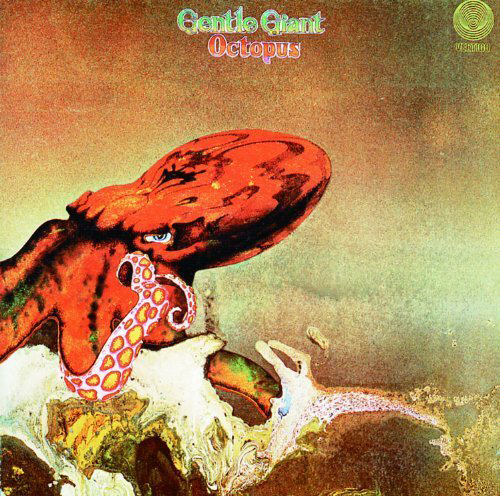 With Gentle Giant’s Octopus, Dean went straight for the jugular. Here, he chose not to explore the fantasias of his mind and instead offered a direct interpretation – a gargantuan carmine cephalopod, depicted thrashing around on the rocks in a rough sea. The US and Canadian release featured a different – more mainstream – image by Charles White of an octopus in a jar. 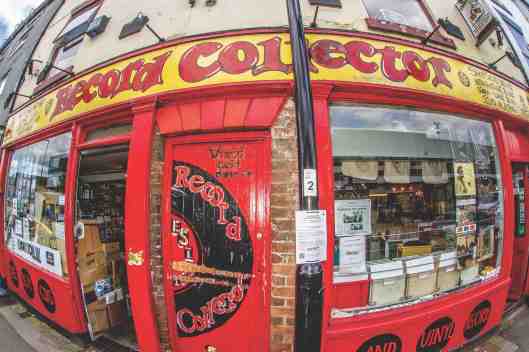 The original artwork is currently at auction, with a guide price of £10–15,000. 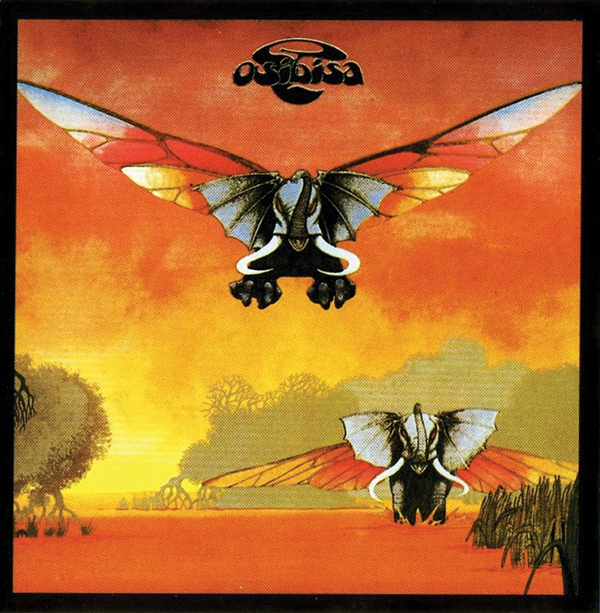 Yes’ 1973 prog-rock behemoth visited the far-flung extremes of the genre and Dean’s stunning sleeve artwork was just as exuberant, with a painting that stretched out over the front and back covers and featured disparate elements including the Mayan temple at Chichén Itza, the Nazca Lines and various famous English rock formations (Brimham Rocks, the last rocks at Land’s End, Treen’s Logan rock and stones from Avebury and Stonehenge). 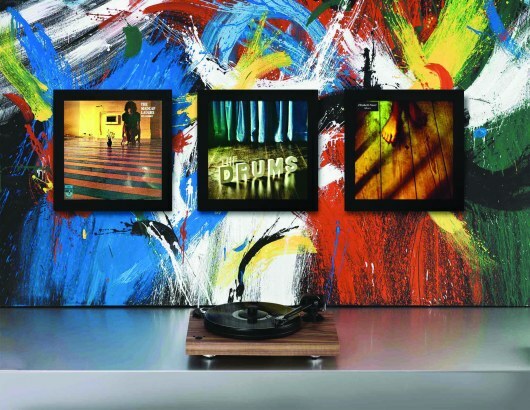 The artwork is featured in Dean’s 1975 book, Views. At the dawn of the 80s, giants of the prog world – from Yes, King Crimson and The Buggles – gathered together to form ‘supergroup’ Asia. Their debut, recorded in 1981 and released a year later in March, went on to sell over seven million and netted three Top 10 hits. 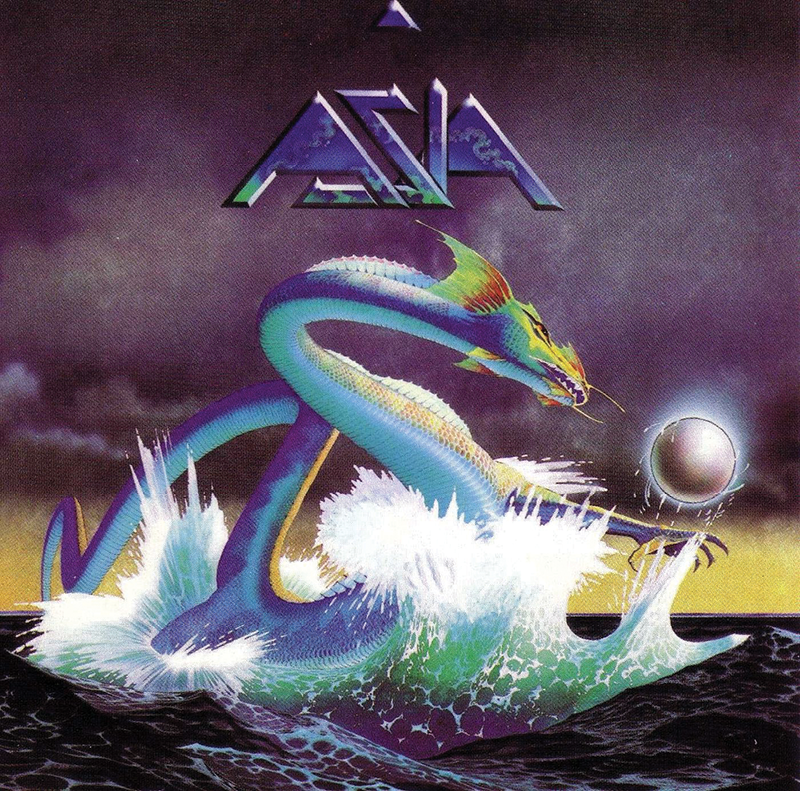 With both the logo and sleeve designed specifically to distance themselves from the imagery used for Yes, Asia features one of Dean’s boldest images – an aquamarine dragon writhing in the ocean, a silver orb rising from the waves beside it. 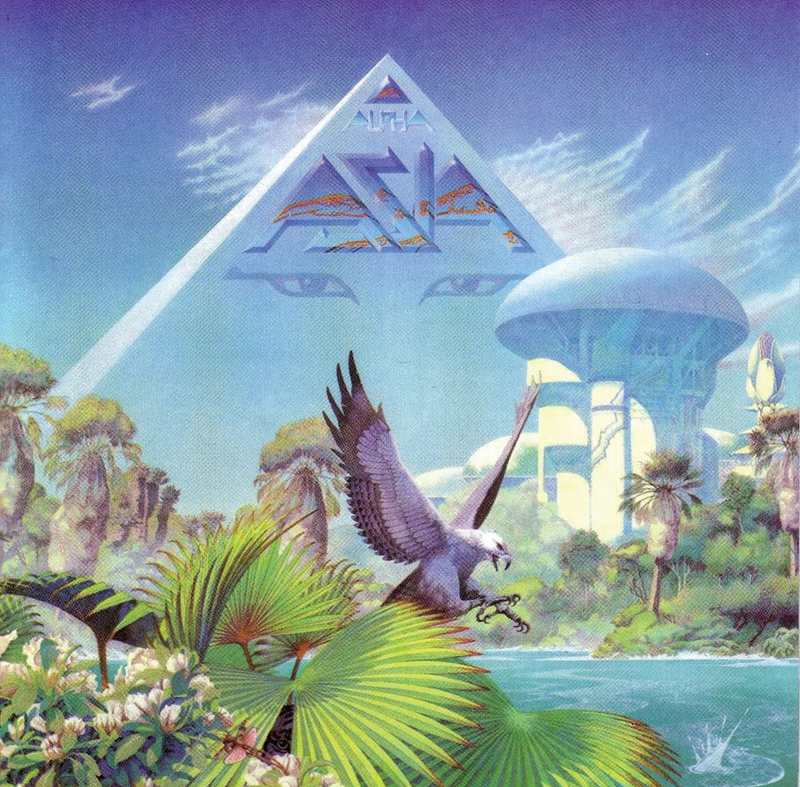 It was always going to be a tough ask – and Asia’s platinum-certified second attempt fared well – but Alpha fell significantly short of their seismic debut despite a more mainstream sound. The cover, however, is a show of Dean’s effortless ability to inspire intrigue. An eagle swoops above vivid green leaves; giant unearthly palms sway at the river’s edge; mushroom-domed buildings sit on its banks, while all the while, a towering pyramid swallows the summer sky. 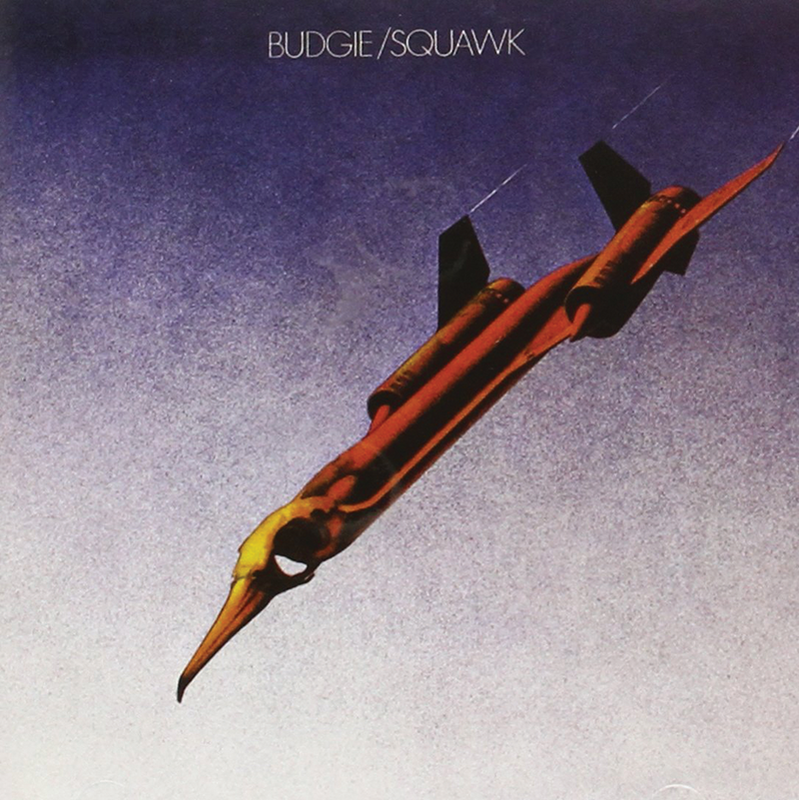 Welsh heavy-metal band Budgie’s sophomore album was a big seller, certified gold just a year after its release. It also marks an iconic image in Dean’s catalogue, notable for the fact that it isn’t one of his characteristic landscapes. The first of his many biomechanical treatments, Dean combined his plastic model of the ’Blackbird’ stealth bomber with a seagull skull that he found while hiking. 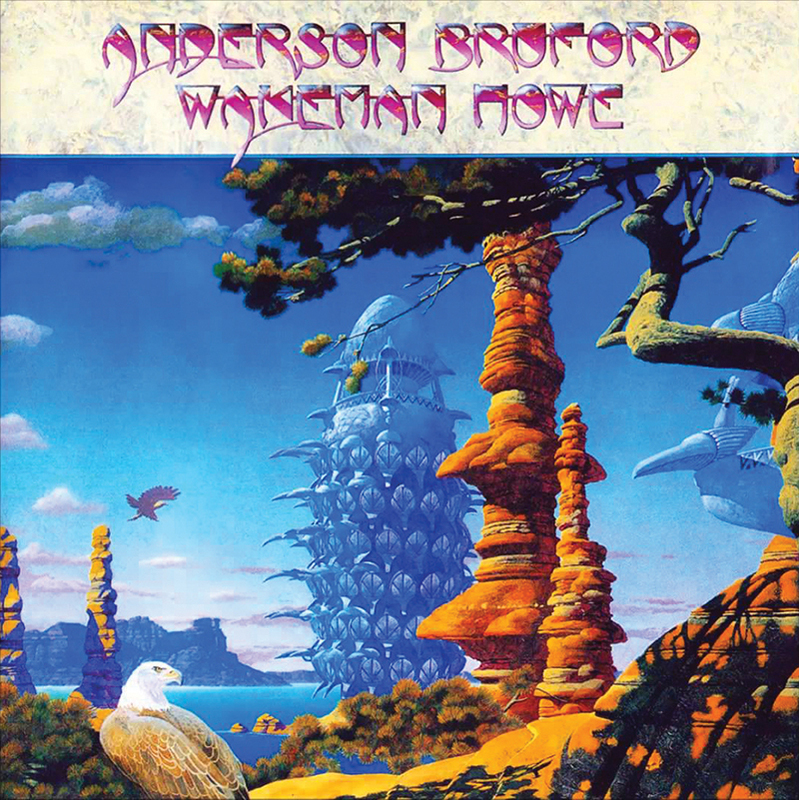 The result was this simple, yet striking Roger Dean cover. top 10 with the help of pop oddity Roundabout, one of the band’s signature songs, and was eventually certified double platinum. 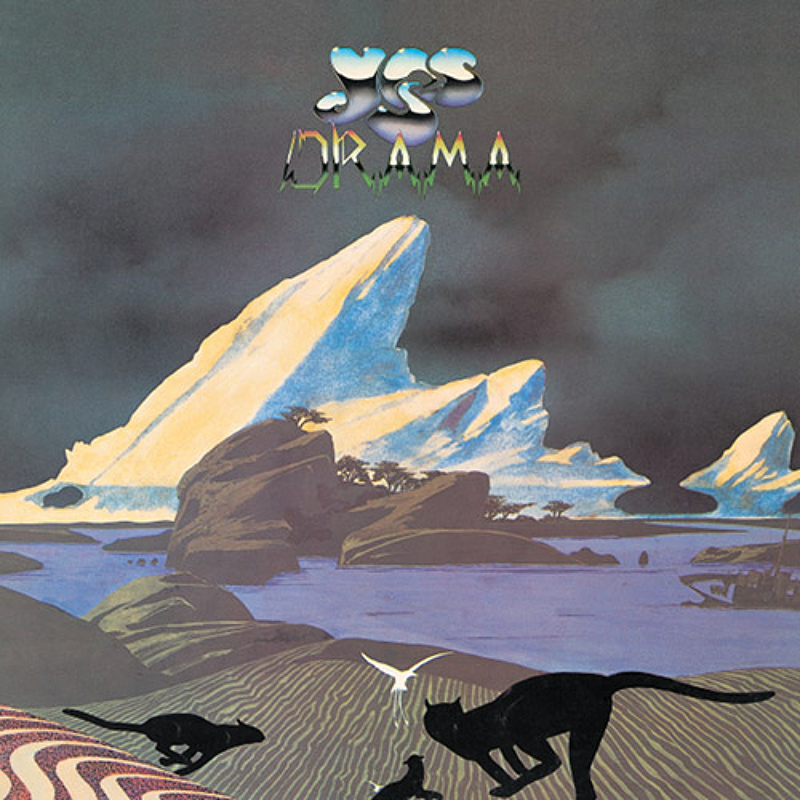 Yes’ 10th studio album and the only one to feature soon-to-become über-producer Trevor Horn (in place of Jon Anderson), joined by his Buggles wingman Geoff Downes (who replaced Rick Wakeman). As a result, Drama was a different animal altogether and benefitted from the change: gold status, No. 2 in the UK and No. 18 in the US. A dynamic translation was required to stand shoulder-to-shoulder with the music and Dean delivered, with this inspired, otherworldly landscape. 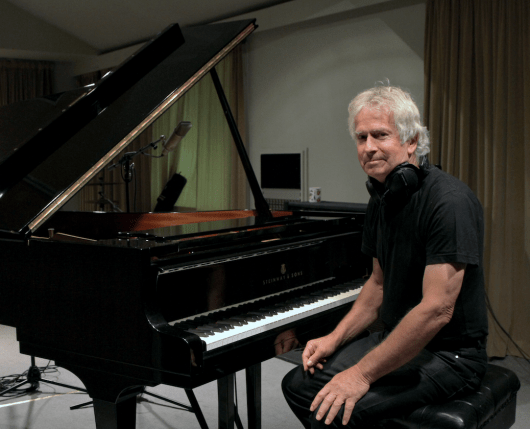 Jon Anderson reunited with other ex-members of Yes – namely Steve Howe, Rick Wakeman and Bill Bruford – to form what was ostensibly Yes Mk. II (minus Chris Squire, who had legal use of the name). 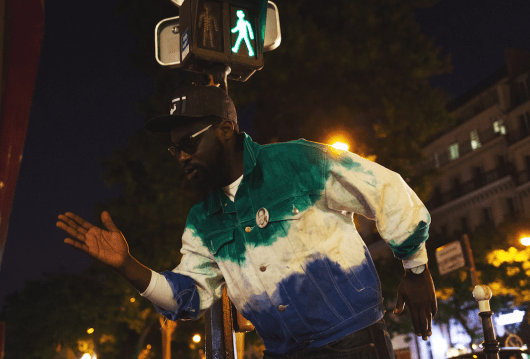 The eponymous debut made waves across the world immediately with over 750,000 sold. 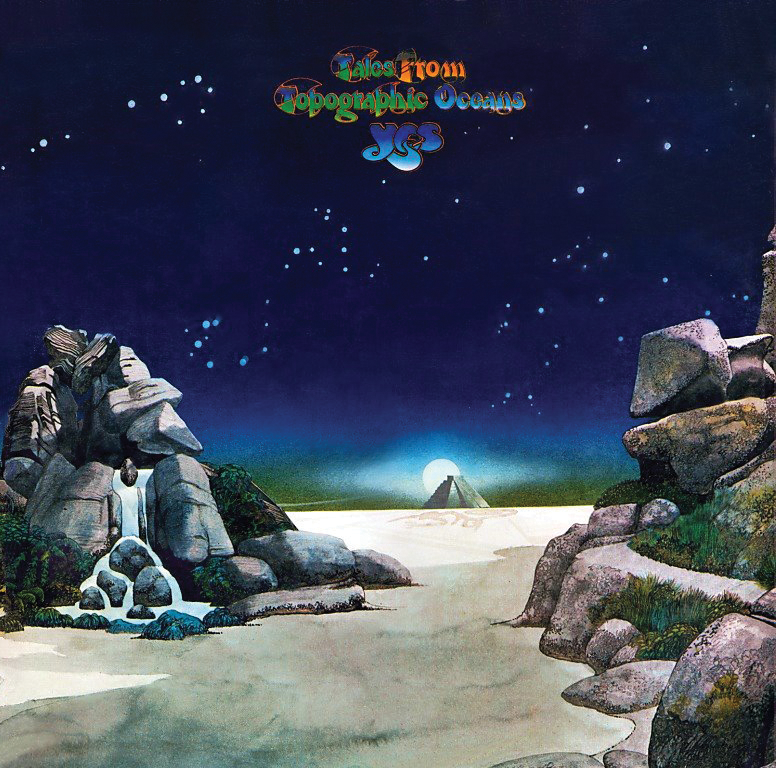 The foursome enlisted Roger’s services, perhaps to shrewdly illustrate the fact that this was in fact an unofficial Yes album. Blue Desert on the front and Red Desert on the back – are two sublime works, the skyline dominated by a pine cone-esque skyscraper. 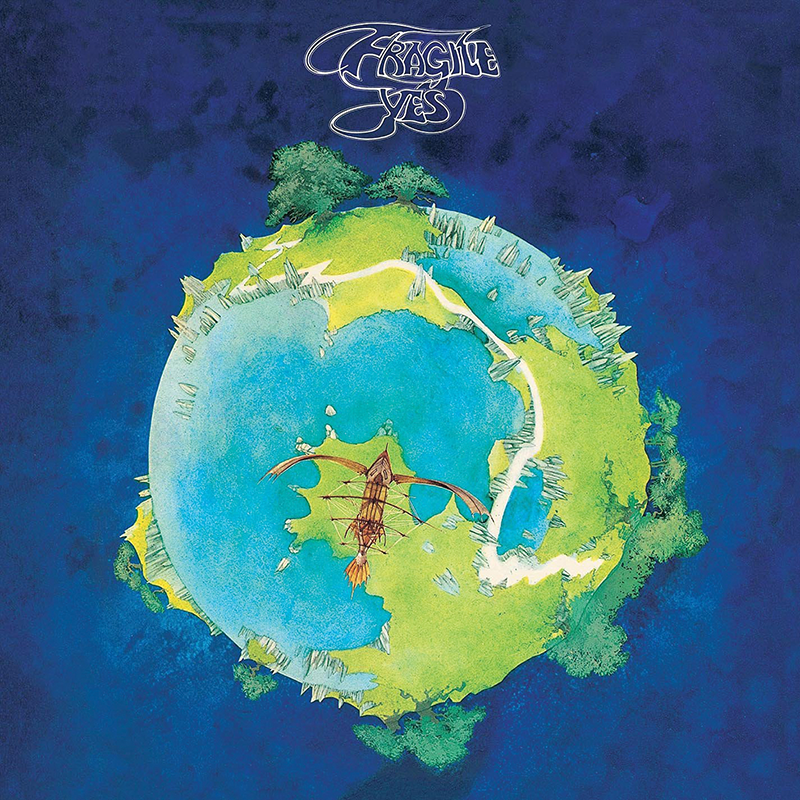 Amongst Roger Dean-related rarities – including a small early run of Yessongs that opened like a book thanks to Roger’s patented folding technique – one is exremely rare. 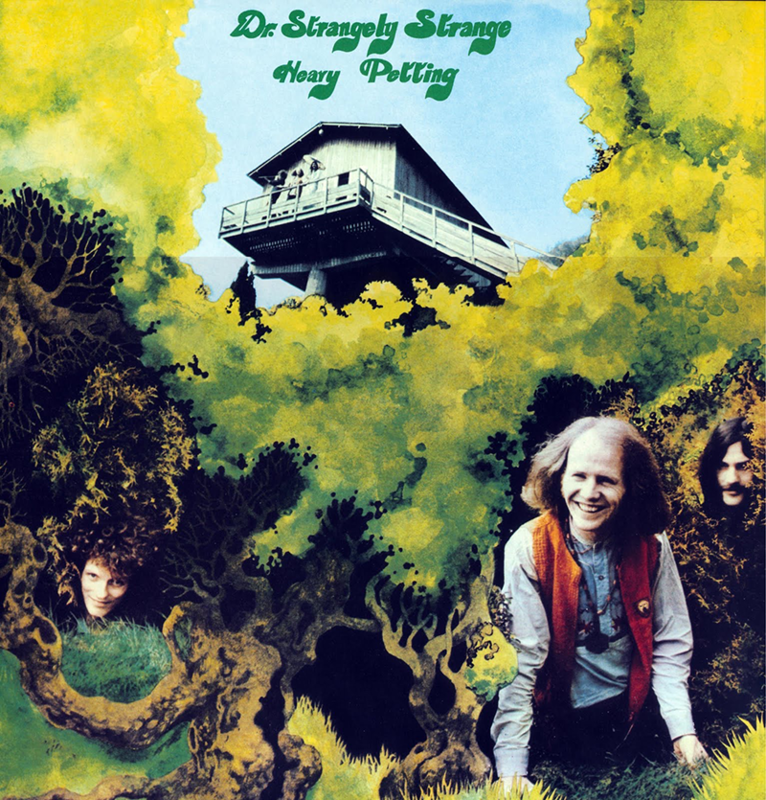 “I did Dr. Strangely Strange (Heavy Petting) and The John Dummer Band (Blue), which were paper sculptures,” says Roger. “Those in good condition are extremely rare, because they were so fragile.